Both new and overhauled exhaust systems that offer quality, safety, and reliability. Worn out exhaust parts are dismantled and completely remanufactured. We know the importance of conforming to original specifications. 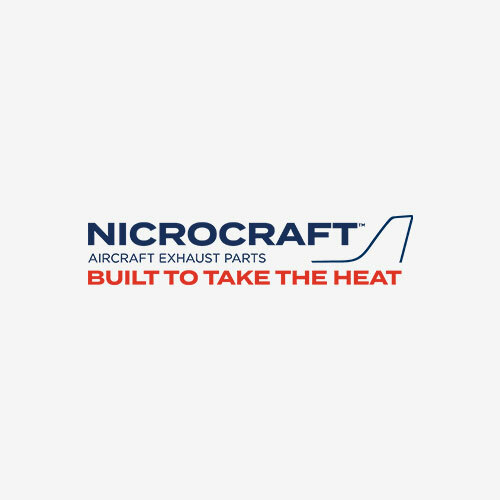 All Nicrocraft replacement components are FAA/PMA Approved – conforming to original specifications. High temperature nickel brazing and Nicrobraz® filler metal, originally invented by Wall Colmonoy, is used extensively in the construction of exhaust ducting, which is fundamental to weight reduction while maintaining optimal strength. In addition to the exhaust systems, AET Oklahoma City overhauls and manufactures heat exchangers for the USAF F-15 and F-16 fighters contributing to the readiness of our military.